MYRTLE BEACH, SC (WMBF) - The Grande Dunes area is booming with development, which is part of the reason why Graham Black said they chose the location for Portside, a senior living just off Cirpriana Drive. “So we’ll be breaking ground in April on our second phase which is 134 apartments of independent living with 16 cottages of independent living," said Black, who is the Director of Senior Living for LIV Development, the company spearheading the project. Phase One of the Portside at Grande Dunes Senior Living facility is good to go with tenants already moving in. 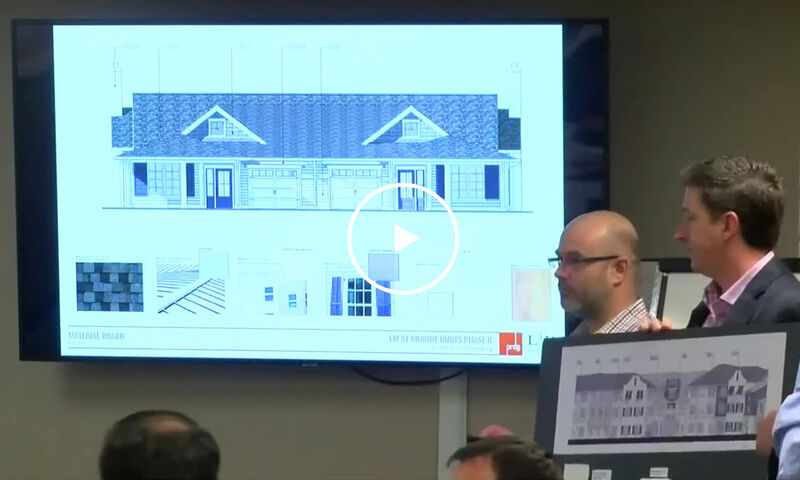 On Thursday, the community appearance board heard the plans for Phase Two, which is aimed towards those who are able to live independently. “The amenity package is much more robust. It has outdoor heated pools, outdoor yoga lawn spaces, outdoor picnicking and grilling," said Graham. Phase Two is slated to be more suitable for the older community who want to downsize, but can still live on their own. “It allows us to be more involved in the community, for our residents to be more active and have lifestyle options around the community as well. They can be in the community rather than tucked away. It’s a great time in your life and you need to enjoy it.. get out," said Black. Black said his team also found comfort and convenience being right next to healthcare facilities like Grand Strand Medical Center. The Community Appearance Board voted to approve the final review for Phase Two of the building and landscape plans. Black says they’ll be back in a couple of weeks to present plans for lighting and signage. Plans were also presented for Bellora Shops at the corner of 62nd Avenue North and 17 bypass. The building would sit near the Barc Park and the YMCA. The plans consist of six commercial buildings with awnings, landscaping and parking, although it’s unclear just what kind of shops this new plaza could bring. Eric Rogers, Manager of Little Pigs BBQ right across the street says he likes the sound of something new coming to the area. He says over the last 15 years he’s worked at his restaurant, the area hasn’t changed all that much, so something new could benefit his business, AND others too. “It’s great, the more people, the more business for us. I know they’re doing another community over there so that’s going to help us out some. I just hope there are no barbecue restaurants," said Rogers. The board said they want to see a more modern design. Representatives presenting the plans to the board also said the applicant wasn’t present, so they wanted to withdraw the application and bring it back at another time. The board ultimately moved for a continuance after seeing some of the plans.